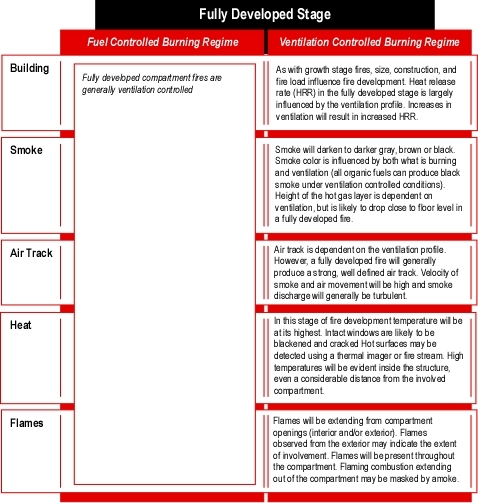 Building Factors, Smoke, Air Track, Heat, and Flame (B-SAHF) are critical fire behavior indicators. 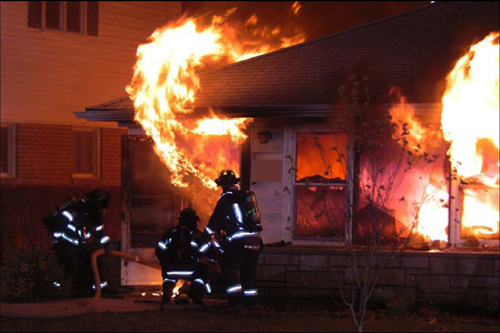 Understanding the indicators is important, but more important is the ability to integrate these factors in the process of reading the fire as part of size-up and dynamic risk assessment. 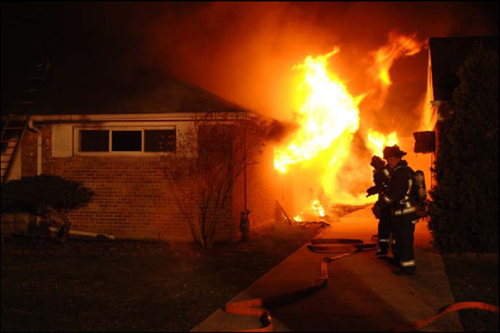 This post reviews application of the B-SAHF organizing scheme to recognizing and identifying stages of fire development and burning regime. 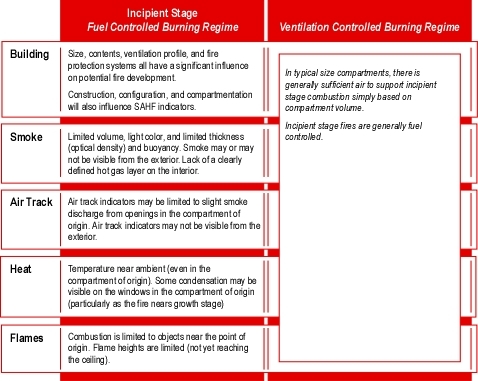 Part of the process of reading the fire involves recognizing the stages of fire development and burning regime (e.g., fuel or ventilation controlled). 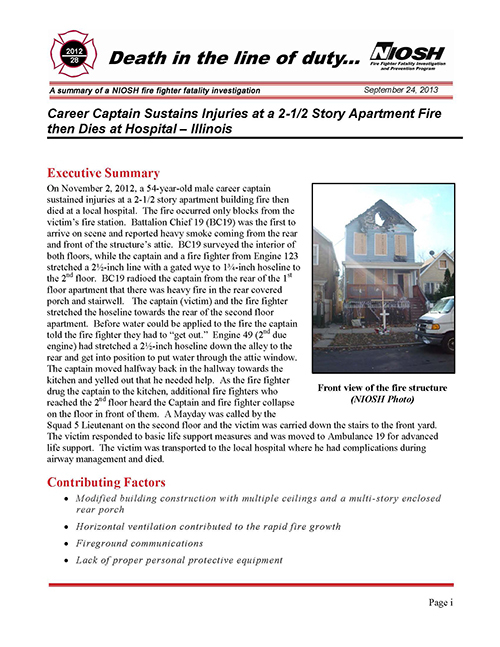 Remember that fire conditions can vary considerably throughout the building with one compartment containing a fully developed fire, an adjacent compartment in the growth stage, and still other compartments yet uninvolved. 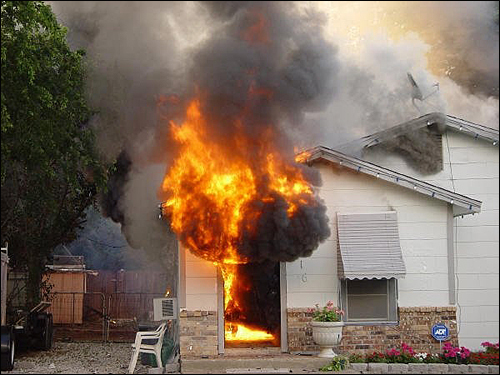 Similarly, burning regime may vary from compartment to compartment. 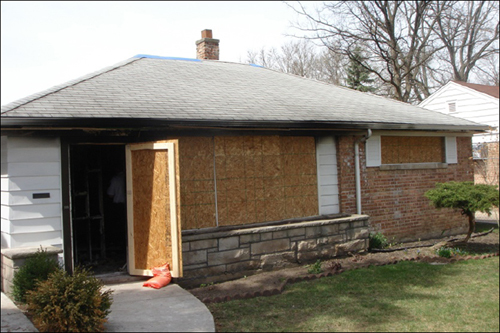 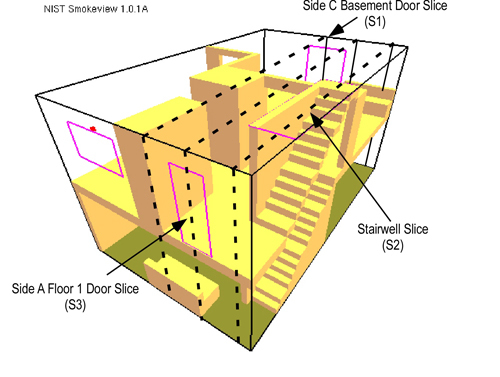 Recognizing the stages of fire development and burning regime allows firefighters to predict what is likely to happen next (if action is not taken), potential changes due to unplanned ventilation (such as failure of a window), and the likely effect of tactical action. 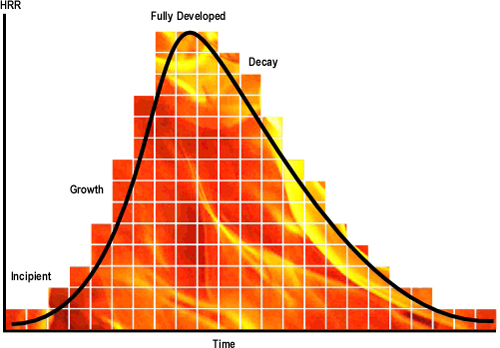 Compartment fire development can be described as being comprised of four stages: incipient, growth, fully developed and decay (see Figure 1). 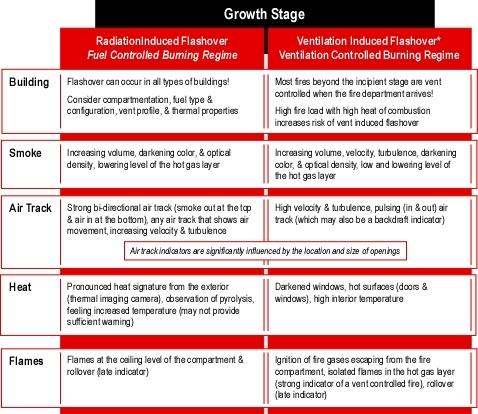 Flashover is not a stage of development, but simply a rapid transition between the growth and fully developed stages. 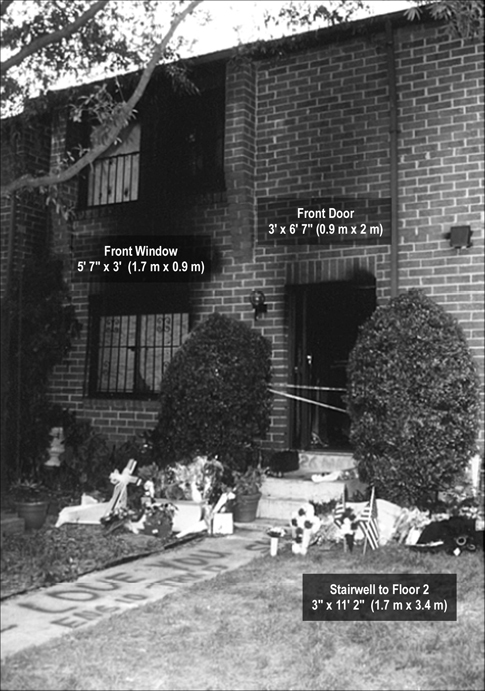 Compartment fires do not always follow the simple, idealized fire development curve illustrated in Figure 1. 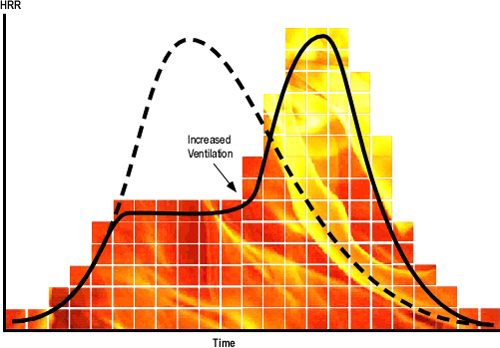 The speed with which the fire develops, peak heat release rate, and duration of burning are dependent on both the characteristics of the fuel involved and ventilation profile (available oxygen). 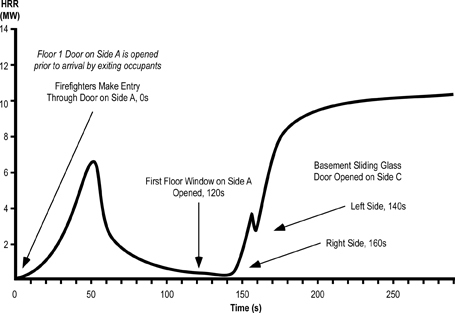 Many if not most fires that have progressed beyond the incipient stage when the fire department arrives are ventilation controlled. 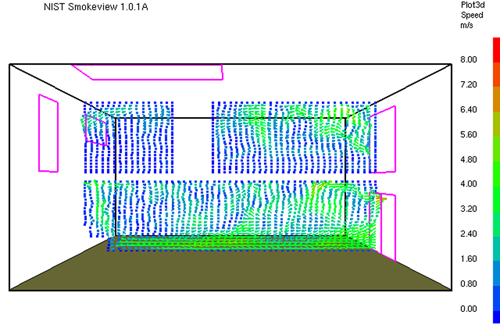 This means that the heat release rate (the fire’s power) is limited by the ventilation profile, in particular, the existing openings. 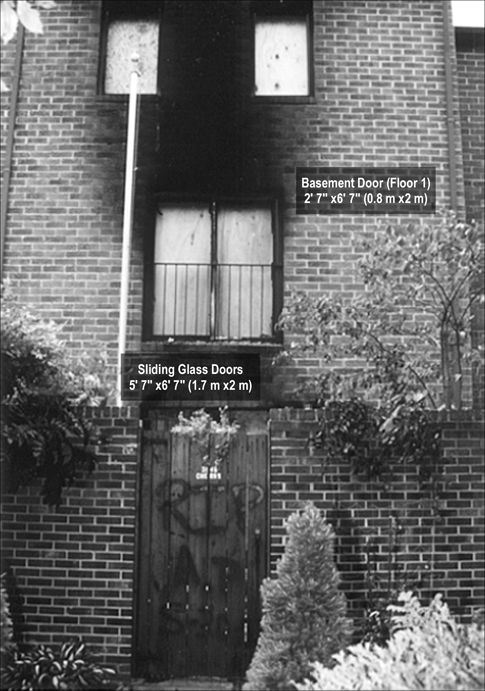 If ventilation is increased, either through tactical action or unplanned ventilation resulting from effects of the fire (e.g., failure of a window) or human action (e.g., exiting civilians leaving a door open), heat release rate will increase, potentially resulting in a ventilation induced flashover as illustrated in Figure 2. 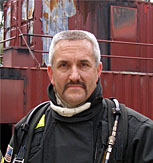 Going back to the basics of fire behavior, ignition requires heat, fuel, and oxygen. 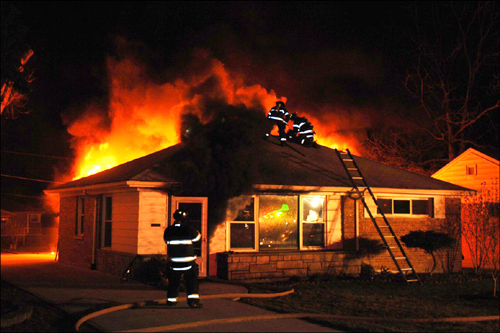 Once combustion begins, development of an incipient fire is largely dependent on the characteristics and configuration of the fuel involved (fuel controlled fire). 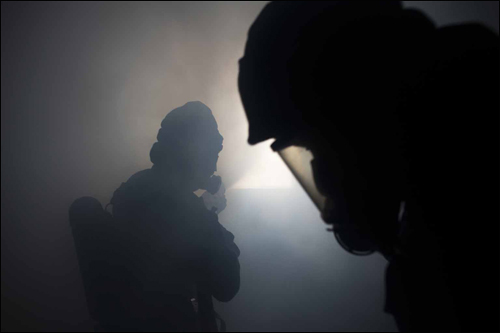 Air in the compartment provides adequate oxygen to continue fire development. 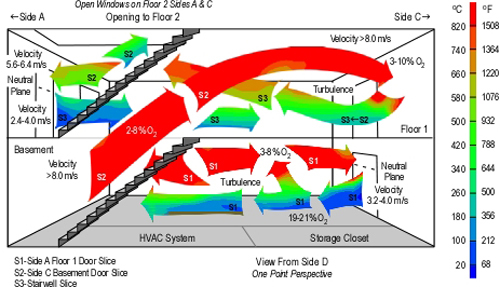 During this initial phase of fire development, radiant heat warms adjacent fuel and continues the process of pyrolysis. 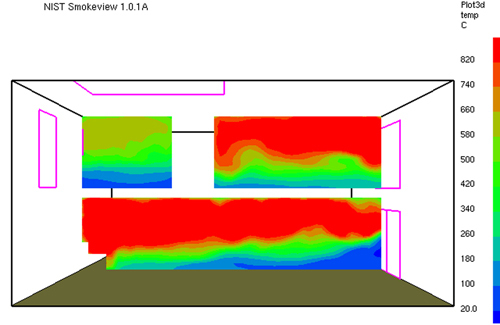 A plume of hot gases and flame rises from the fire and mixes with the cooler air within the room. 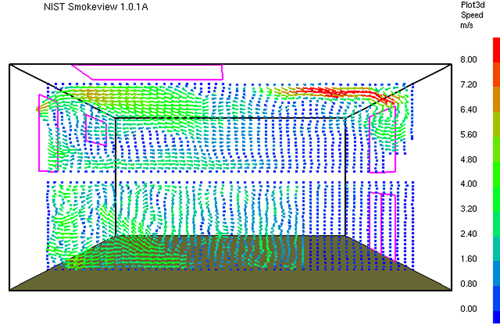 This transfer of energy begins to increase the overall temperature in the room. 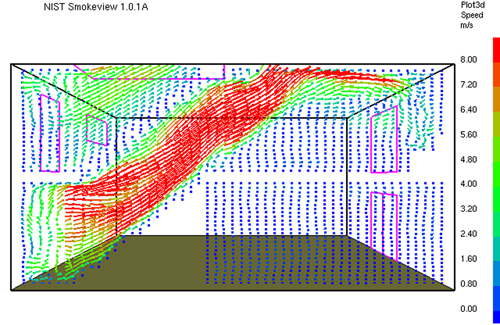 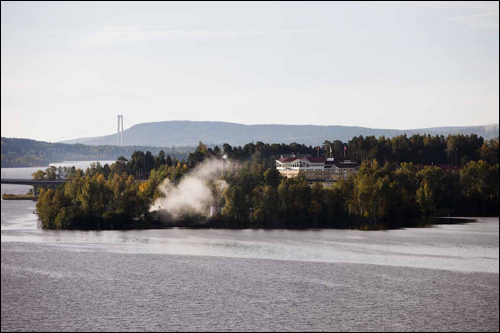 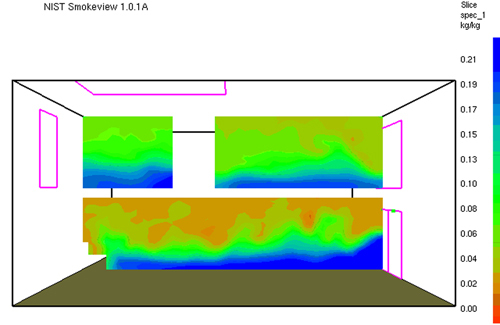 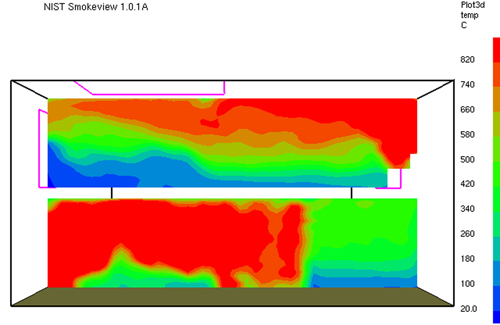 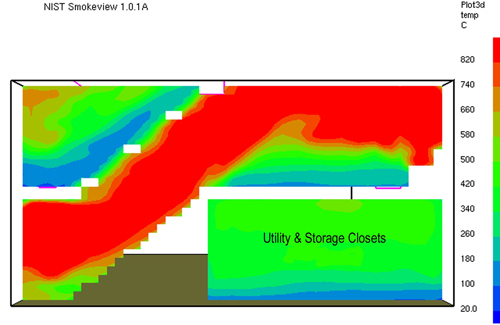 As this plume reaches the ceiling, hot gases begin to spread horizontally across the ceiling. 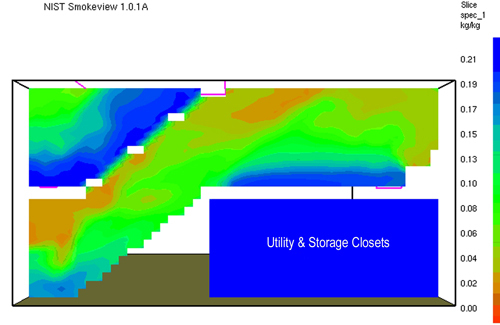 Transition beyond the incipient stage is difficult to define in precise terms. 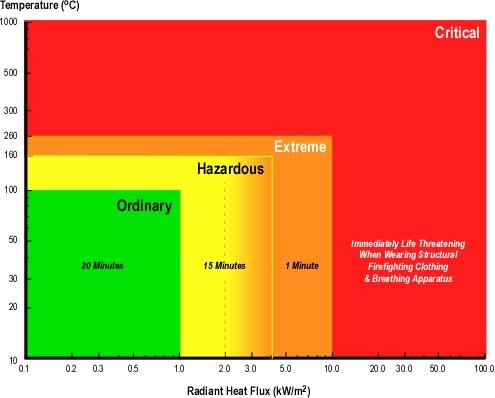 However, as flames near the ceiling, the layer of hot gases becomes more clearly defined and increase in volume, the fire has moved beyond its incipient phase and (given adequate oxygen) will continue to grow more quickly. 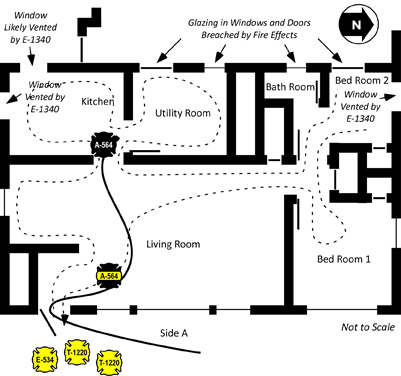 Consider the following situation and how critical fire behavior indicators would present. 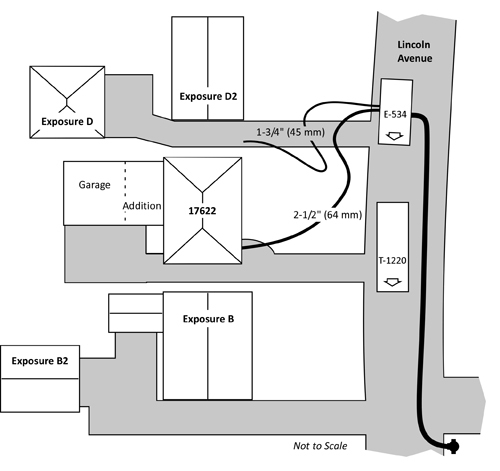 Use the B-SAHF model to help you frame your answers. 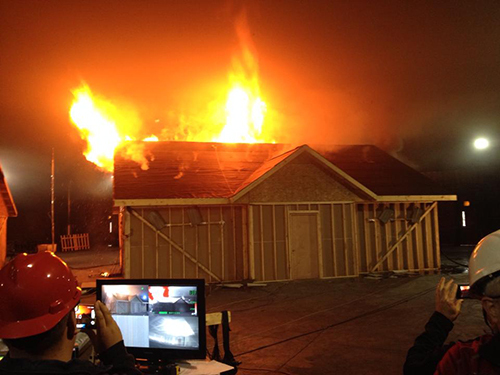 You have responded to a fire in a one-story single family dwelling of wood frame construction. 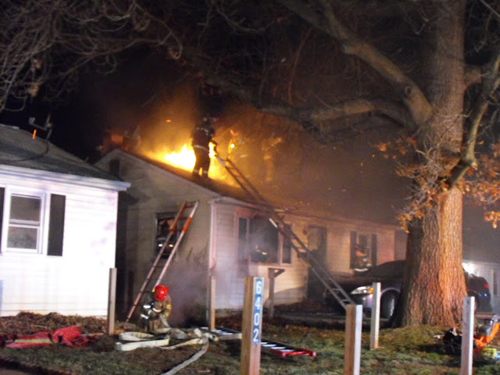 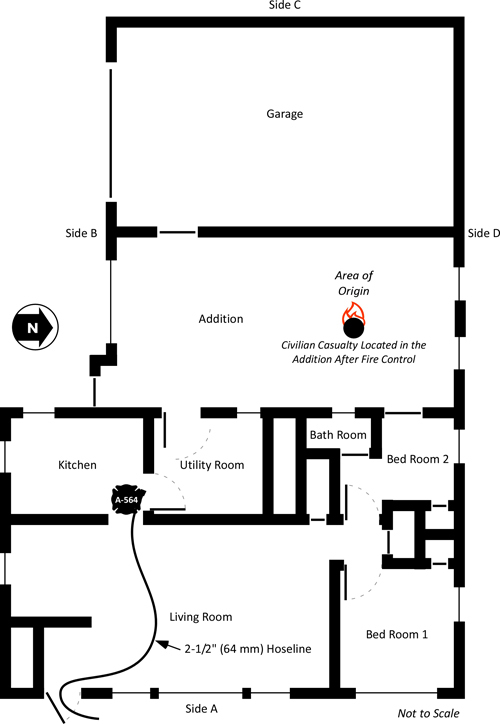 An incipient fire is burning in a bedroom on the Alpha Bravo corner of the structure. The fire is limited to a plastic trash can containing waste paper which is located next to the bed. 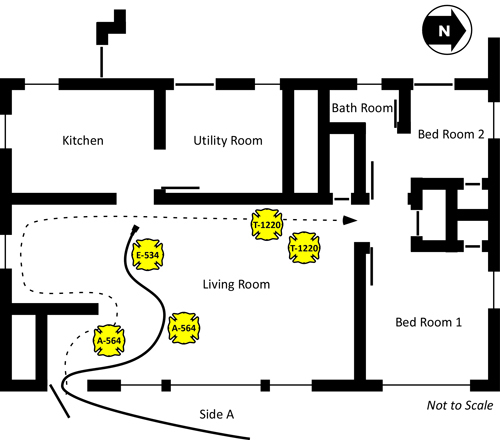 What might you observe traveling through the living room and down the hallway? 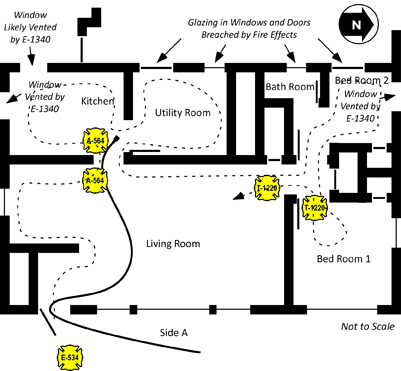 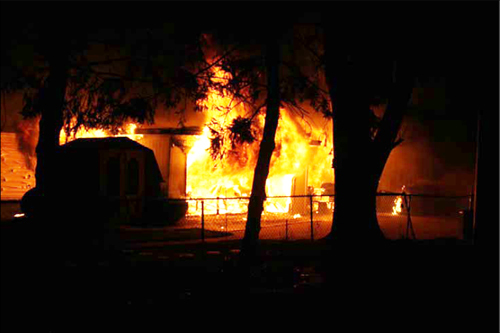 It is essential to think about what you are likely to find inside when observing fire behavior indicators from the exterior and performing a risk assessment. 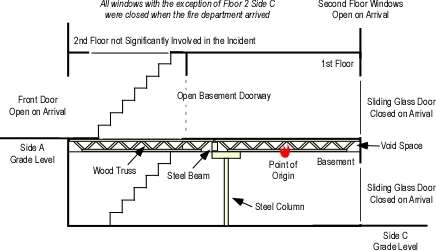 After making entry, consider if conditions are different than you anticipated. 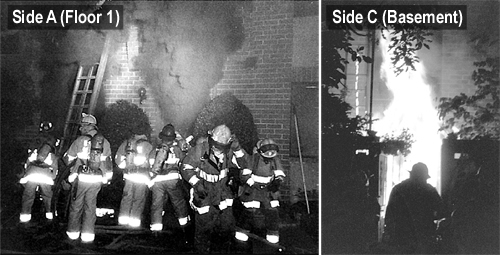 The next post in this series will continue examination of the relationship between the B-SAHF indicators, fire development, and burning regime with a look at growth stage fires in both fuel and ventilation controlled burning regimes.